Life in words, lens, and pretty things. I love travelling to different countries but I’ve never been well traveled enough to claim to be an expert in making comparisons on culture and nature-given treasures. While the different sights have brought me learning, discovery, and sometimes speechless seconds of awe, I still always find myself uttering the cliché, there’s no place like home. Home for me is Cebu. I was born and raised in what we can probably safely say the second most progressive city in the Philippines next to Manila. And while investors are eyeing it as an excellent venue for business, we, true-blue Cebuanos, will always see Cebu as a summer playground. You see, when you live in a tropical country like the Philippines, you only get to experience two seasons: the wet and the dry season. Here, we fondly call the dry season summer – though we recently have had our hearts broken over the news that, technically, there really is no such thing as summer in the Philippines. Nonetheless, with a break from school (and with less chances of rainfall), basking under the sun during that one special moment each year was all I looked forward to as a kid (aside from Christmas presents, that is). My anticipation elated as I grew older, knowing that I can just hop to another island anytime I have the time and budget to do it, and anytime my parents do not notice my disappearance. 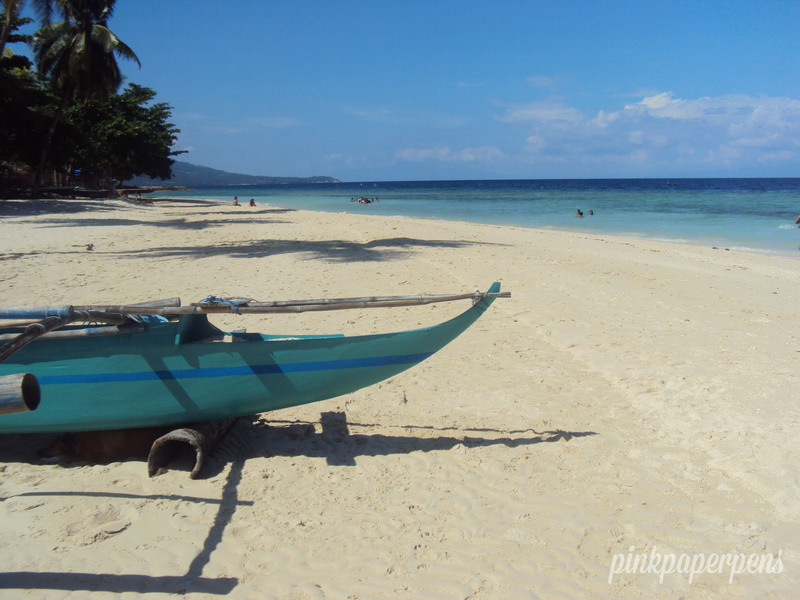 Philippines in general boasts of numerous getaway spots; we don’t claim it to be more fun in the PH for nothing. Living in Cebu means getting good access to the country’s best beaches, including those in the nearby islands. From coral-blue waters to powdery white sand, from the whimsical brushes of the palm trees to the painting-like strokes of the sunset, paradise in this corner of the world is almost always less than an hour boat-ride away. Sometimes, it’s even just one cab hailing away! Summer season just started this year and it’s good to look back and declare that the past few summers did not disappoint. Here, I recount the thirteen times I thanked God for putting me in Cebu during this much-awaited time of the year. 1. 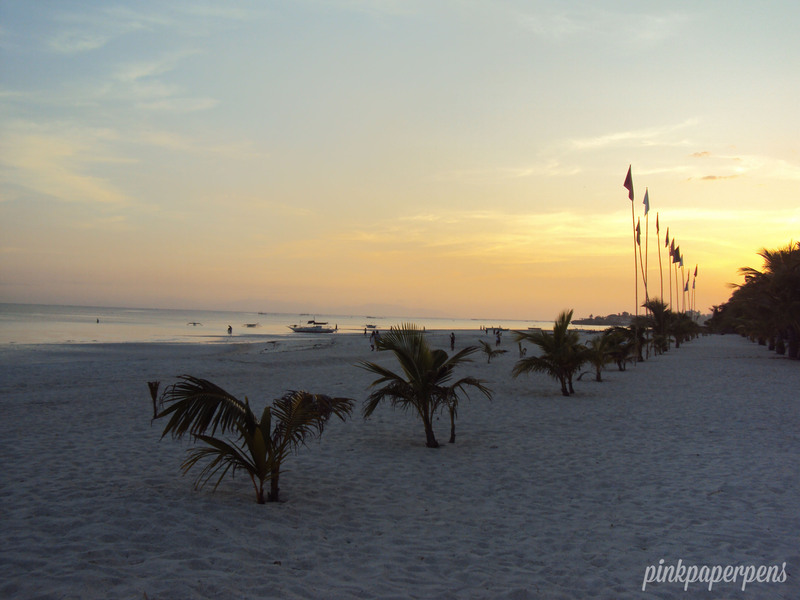 That sunset in Sugar Beach Resort, Santa Fe, Bantayan. The summer of 2010 saw me in one of my earliest out-of-town trips with people I am not in any way genetically related with. It was an outing with my work colleagues, and while the boys were busy preparing our dinner, we girls decided to explore the town a little just in time to capture the sunset. Yes, we were switching roles during that short trip. 2. 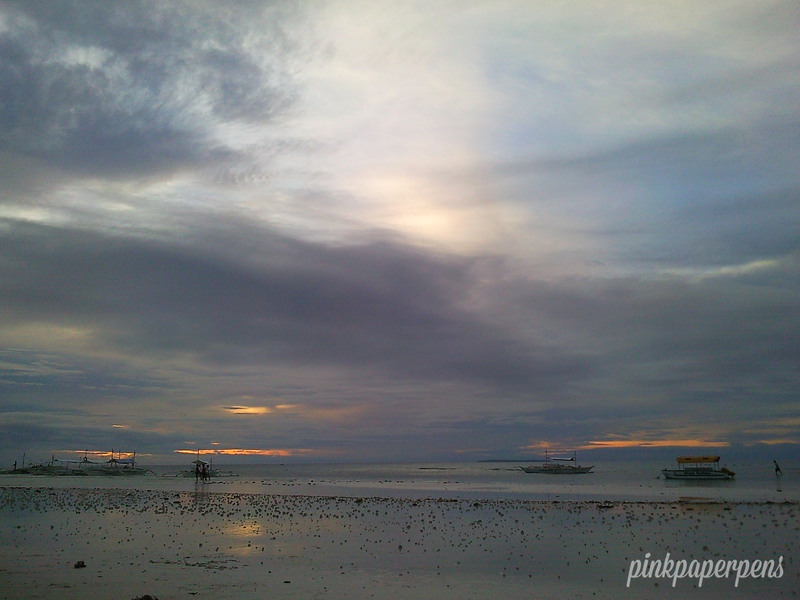 That sunrise at the Dumaluan Beach Resort, Panglao Island, Bohol. Cebu is a gateway to stunning beaches found in the neighboring islands, including Bohol. I took this trip in the summer of 2011 with one of my best friends. 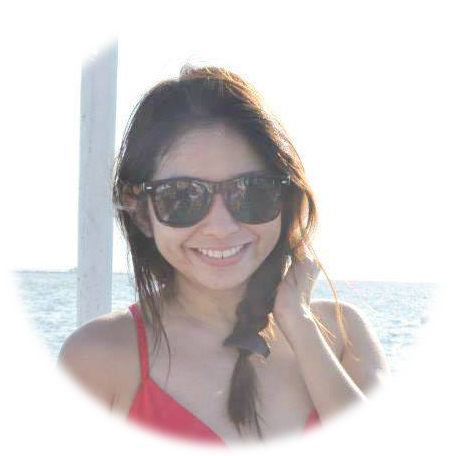 She had relatives living in Bohol and she was sweet enough to do it with me on short notice. It was a very personal trip as I intended it to be simple, a huge contrast to the big beach outings I’ve been used to. 3. 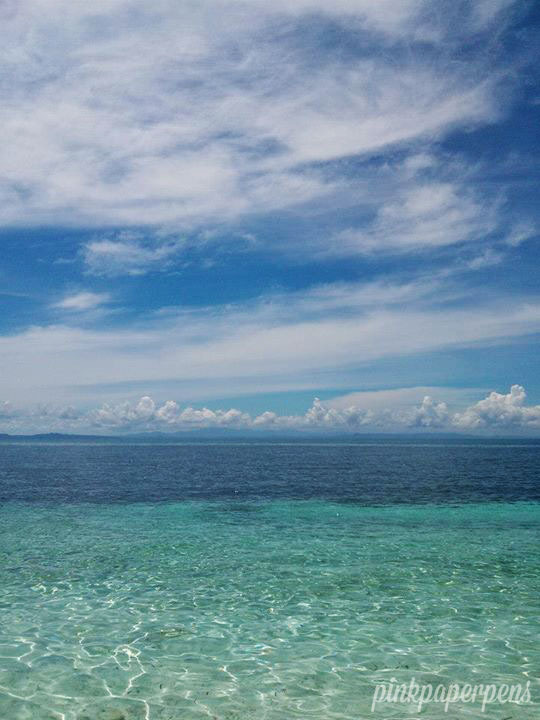 Those layers of blue in Santiago Bay, Camotes, in May 2011. 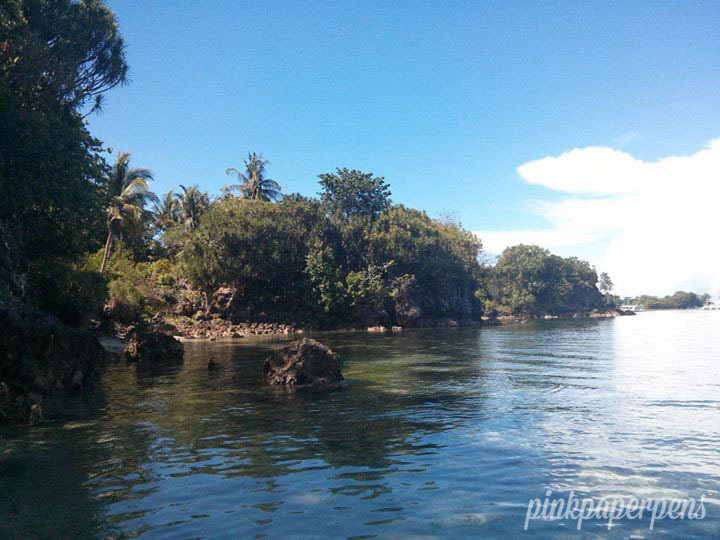 Camotes is one of the islands that is part of the Cebu Province. Of all the beaches I’ve been to, this one is what I deem to be the most serene and romantic. I recall attempting to grab the stars that evening because they really really looked within a hand’s reach. 3. 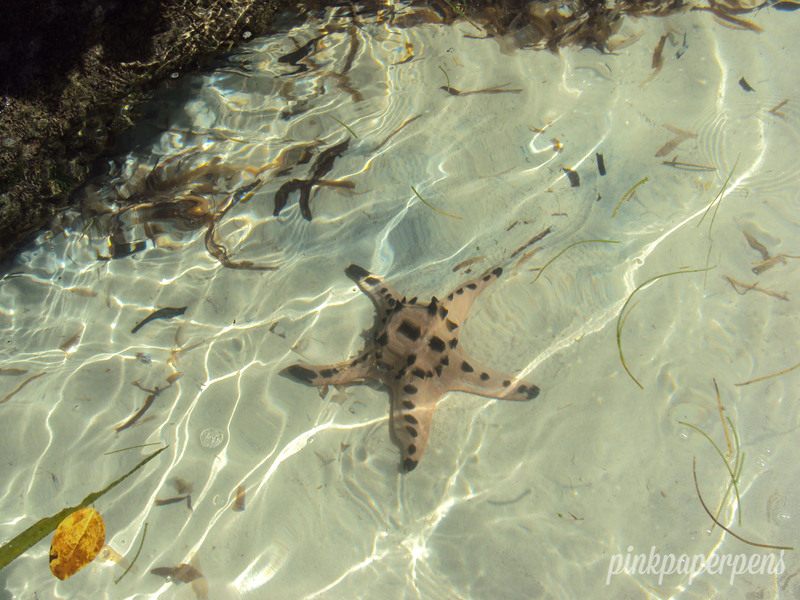 That starfish in Santiago Bay, Camotes. Captured in the same trip, this one’s a good shot to show just how clear the water is in that lover’s island paradise. 4. That exquisite shoreline in Lambug Beach, Badian. Badian was a long 4-hour bus ride North of the city but we traveled for our booking at a camping resort. It was really lovely, but it got even lovelier after getting a tip from my outdoor enthusiast friend about this kinda secret beach nearby. Public beaches in this side of the country aren’t always appealing, but this wasn’t the case here, as you can see. 5. 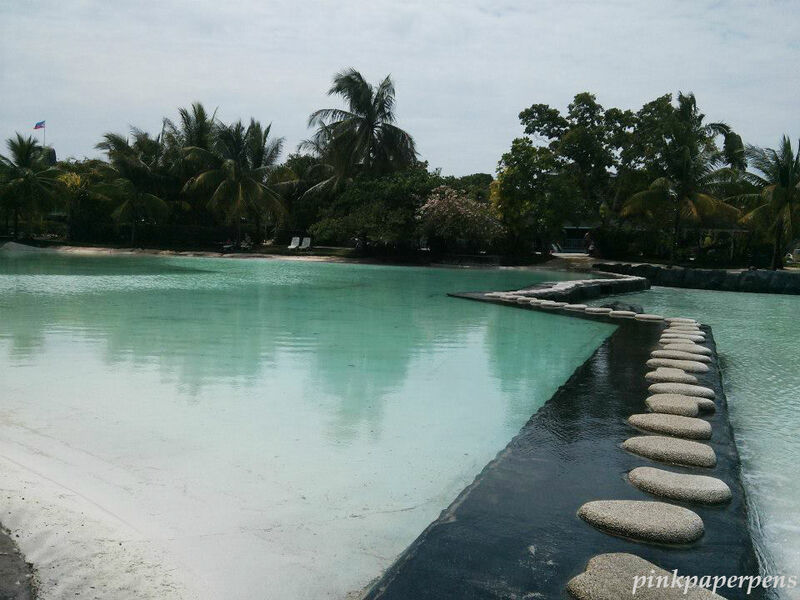 That tranquil beach cove in Mangrove Oriental Resort, Malapascua Island. This 2013 trip to Malapascua was the best I’ve had by far. 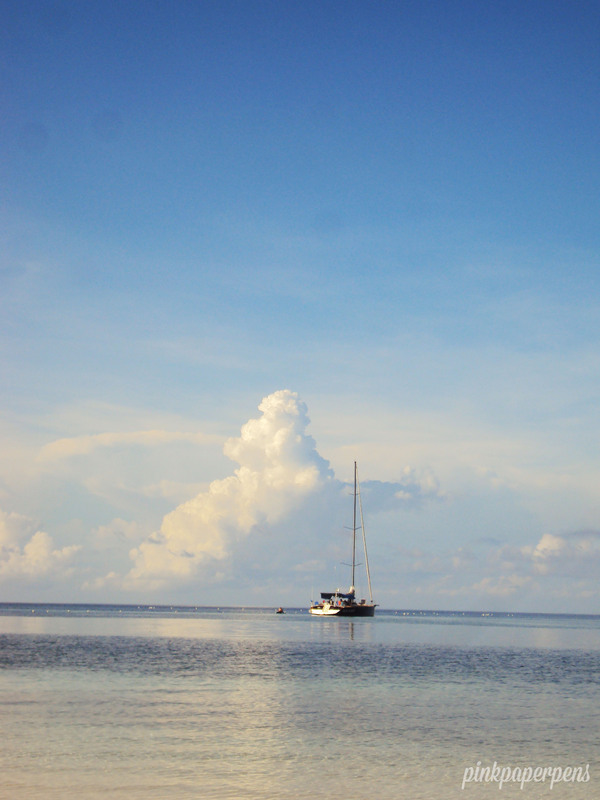 Malapascua is famous for scuba diving and other water adventure sport offerings. The best thing about this place was that it had a good balance between modernity and nature. It was extremely hushed in some parts, yet it had an active nightlife in other areas, toned-down at least. 6. That perfect waters in Malapascua Island. Oh, the way the sky blended with the sea! If that doesn’t make you wanna dip your body in the water, I don’t know what will. 7. 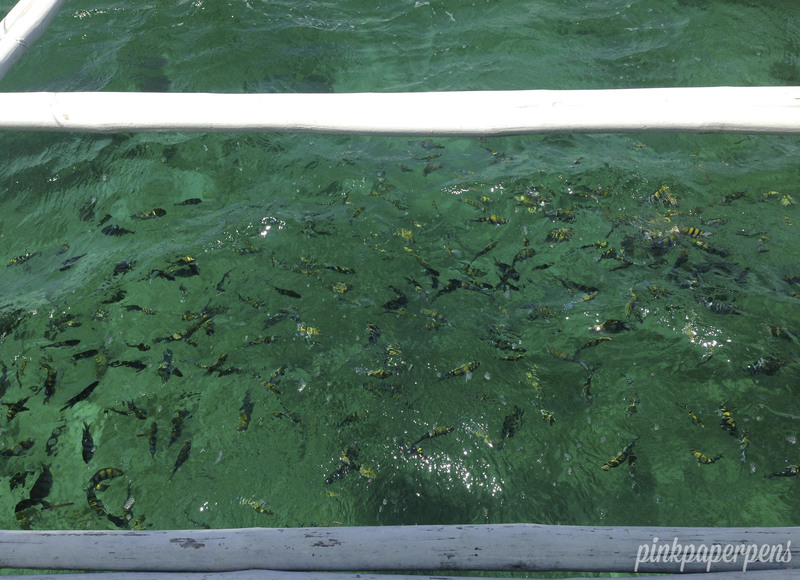 That vivid school of fish in Hilutungan Island. Twenty minutes away from Mactan, Cebu, this island is one of the islands in the Olango Reef which is protected by the government as a marine sanctuary. I don’t know about the others, but I never really noticed the island itself. I was so caught up feeding these fishes from the boat before finally deciding to join them in the water in this early summer getaway in 2013. 8. That priceless minutes spent at the foredeck in the middle of nowhere. When we were not feeding the fishes, my cousins and I were just simply killing time in this same island hopping trip. The sea was endless and the work deadlines were left far far behind. It was sublime. 9. That seemingly floating walkway at Plantation Bay Resort, Cebu. This may not be the best view I’ve had but this 2013 photo sure has with it one of my best memories. My high school friends got together for the first time after getting married, having babies, and relocating to different countries. Straight from work, I jumped to a cab for this let’s-drink-and-swim-and-see-what-happens kind of weekend. 10. Those friendly whale sharks in Oslob. 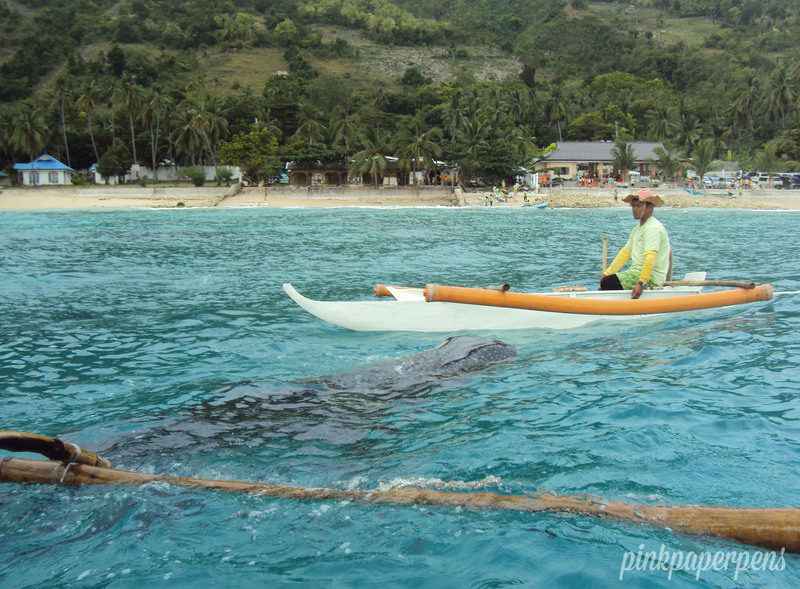 Whale shark watching has been a trend among Cebu tourists these past few years. It’s good to know that the local government has finally been firm on imposing rules and regulations when enjoying this unique experience with nature. I got a chance to “experience” (I did not swim for two reasons I’m keeping to myself) it with my colleagues when one of our ex-bosses from San Diego paid us a visit early this year. 11. That distinct noise of nature at the Kawasan Falls. 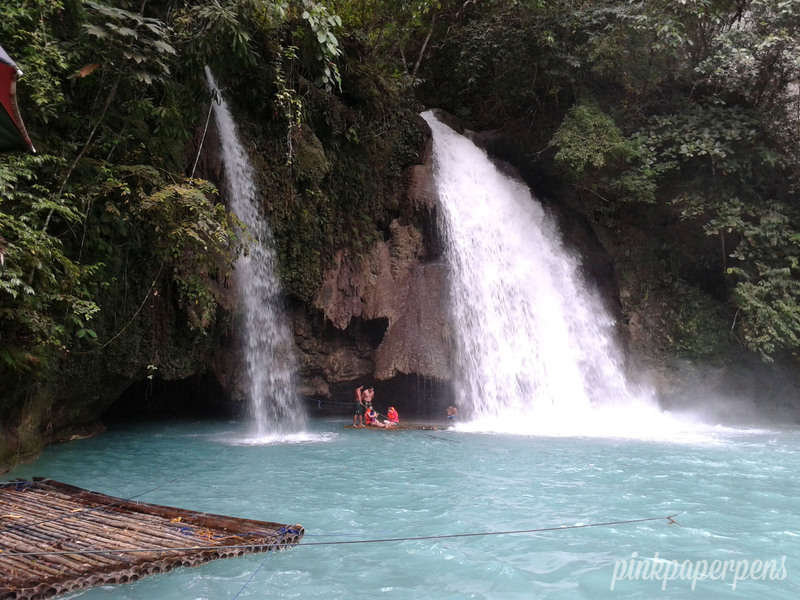 Kawasan Falls is undoubtedly one of the most popular tourist attractions in Cebu and after years of being overly commercialized to the point of destruction, it got restored back to its simple yet breathtaking beauty. I finally got to see it myself for the same reason I was able to visit the Butandings in Oslob. 12. 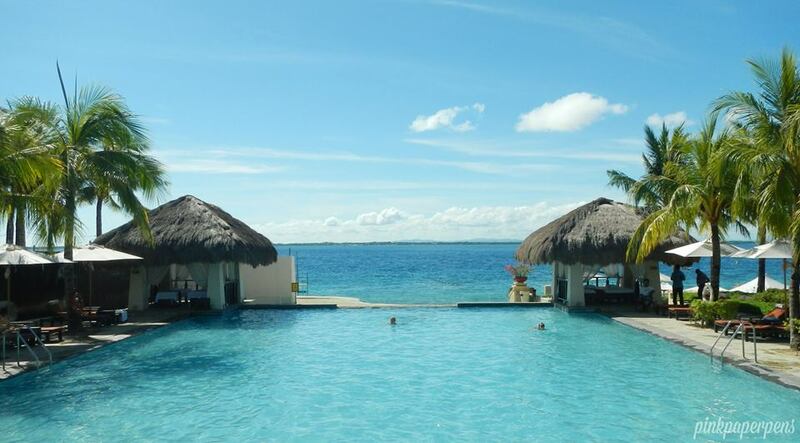 That infinity pool in Crimson Resort, Cebu. A very recent photo, I took this while waiting for my two-year-old niece to wake up. We made a pinky promise the night before to go swimming together. She woke up really late but I didn’t mind with this kind of view. 13. This sight at Pandanon Island. A trip I took just four days ago to open this year’s summer… Need I say more? 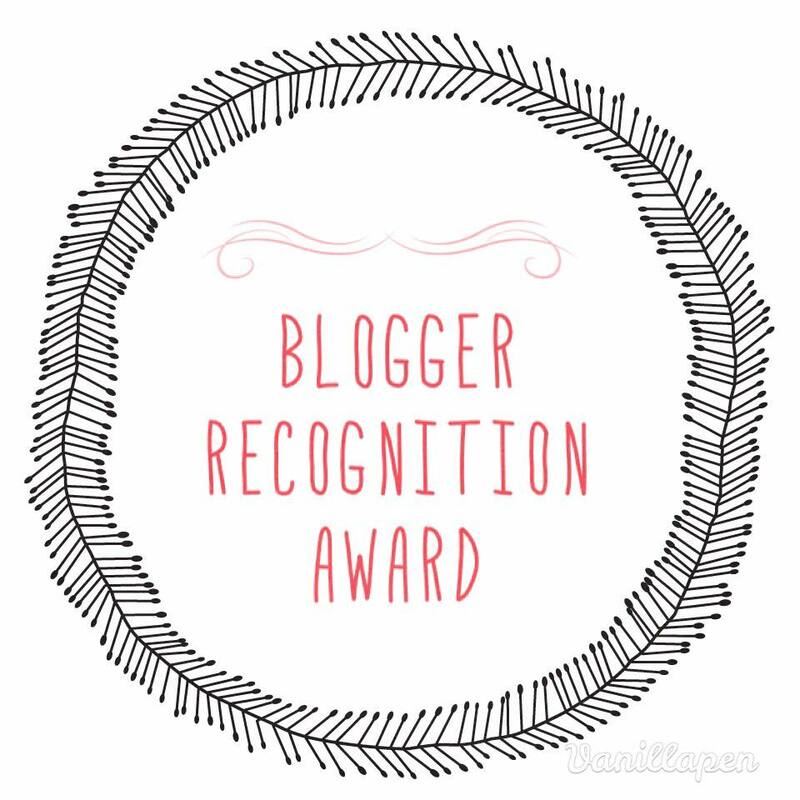 Check out similar blog entries by my beach bum friends over at Gleeful Travels, Wander Woman Wonders, The Cuthing Edge, and Pen & Broomstick! I thank God for Cebu island, too, my birthplace, childhood wonders and so glad to be home after a long traveled overseas. Thanks Q for showing these wonderful pics & places!